I went all in with my wrestling fandom around age 10. My younger brother and dad had been attending matches regularly as the NWA would hold cards in St. Louis on a regular basis. My first live experience was in December 1984. There are a few Superstars I wish I could have seen wrestle in person. 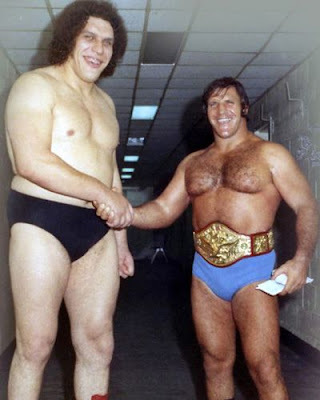 Andre the Giant wrestled Bruiser Brody at one point and my brother and dad were there. This was long before I had even considered watching wrestling, so I missed out. I was hoping he'd be on the card in '84, but he wasn't. I attended a few more WWF house shows before Andre retired, but he was never featured. One time I had considered going to a show in December 1987 where Andre and Rick Rude teamed up against Hulk Hogan and Paul Orndorff. I was in high school by then and really don't know why I didn't bug my parents for tickets. 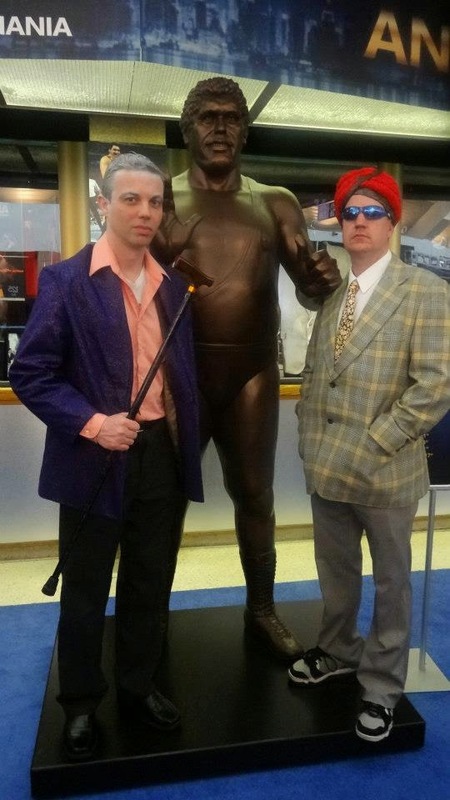 The closest I've come to Andre is posing with his statue at WWE Axxess during WrestleMania festivities. The same goes for Bruno Sammartino. Bruno was still somewhat active when I started watching. He feuded with Randy Savage and Roddy Piper briefly before hanging up his tights and focusing on commentary. Of course, when Bruno was in his prime and the WWWF Champion, I wasn't even a thought. 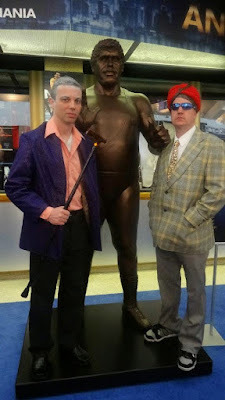 I do consider myself lucky to have been at Madison Square Garden the night Bruno was inducted into the WWF Hall of Fame. It's my only MSG experience, but I certainly hope it's not the last. Wendi Richter quickly rose to the occasion when she arrived in the WWF in 1984. She was different than the other women of that era, like Moolah, Judy Martin and Leilani Kai. It's fair to say I had a crush on Wendi. Unfortunately, her tenure with the company was short-lived. But like Bruno, I was on hand for Wendi's WWE Hall of Fame induction. I consider myself fortunate in that regard. Which Superstars are on your list of having wanted to see perform live? Share here or on the My 1-2-3 Cents social media pages.